Kitchen suppression systems can drastically improve the safety of your commercial kitchen, no matter the size. They also help to reduce wasted time as fires can be stopped immediately without getting out of control, enabling you to avoid closure and resume kitchen duties. Avon Fire supply, install and service kitchen suppression systems to ensure optimum safety of your commercial kitchen, suited to your exact requirements. Kitchen suppression systems are typically connected to your gas line and the central hood of your cooking system. 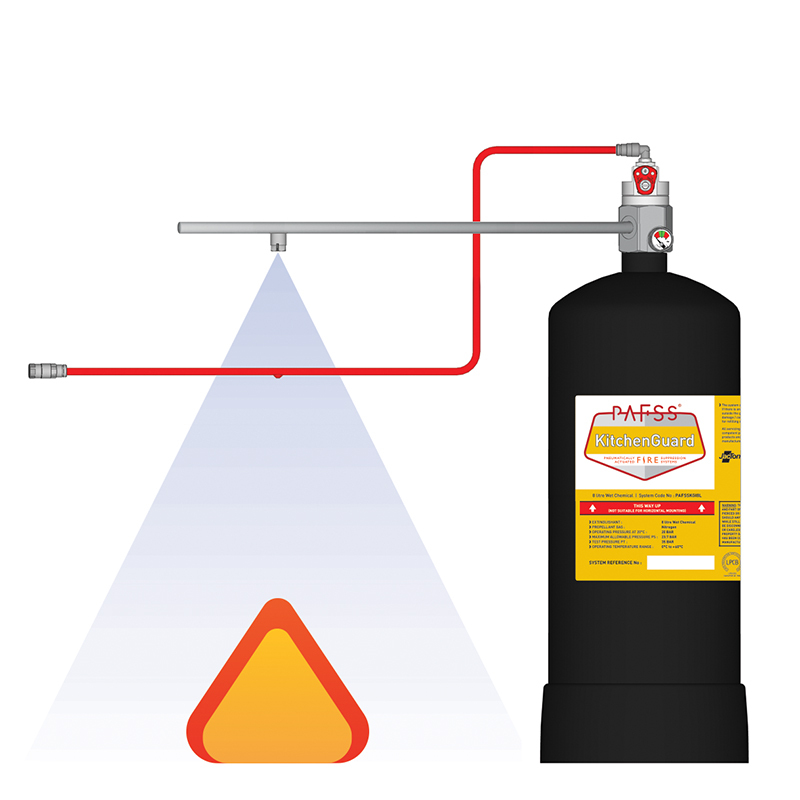 So when the system detects increased heat or flames, it will cut the connection to the gas line and fire suppressant will be released. 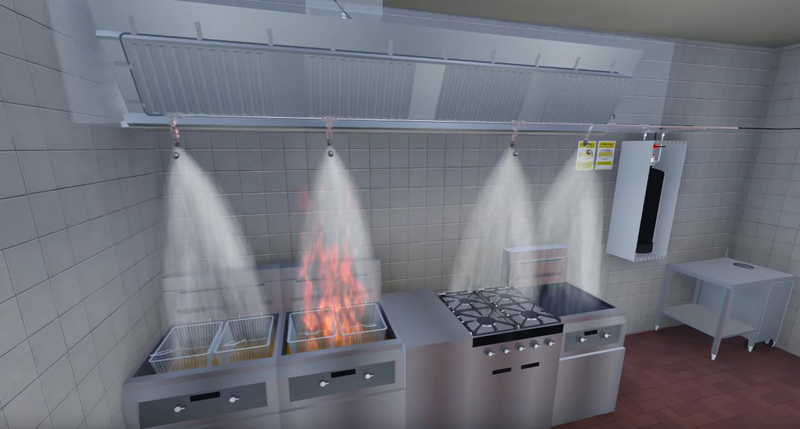 This is a much safer way to protect your kitchen and staff, and will even remove the smoke from your kitchen so you can get back to your kitchen role. 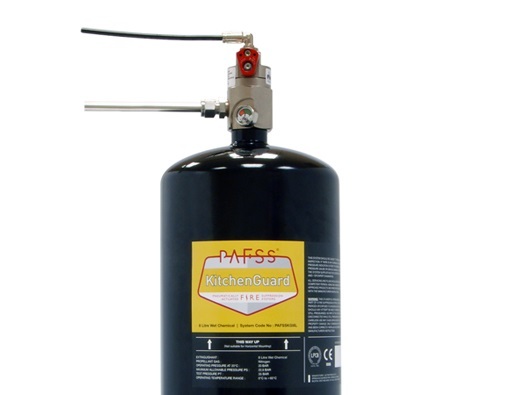 Additional fire extinguishers should be installed in your kitchen for optimum safety. Avon Fire has successfully completed many commercial kitchen projects before, and will come and assess your kitchen for tailored installation. Once installed, we will create a servicing contract with you so that we can regularly maintain your system for optimum safety. We additionally offer 24 hour emergency call outs, should an issue be raised with your fire suppression system so that we can rectify any faults as soon as possible. If you would like to have a kitchen suppression system installed or have any queries please call us on 01179 521 999 or fill in our contact form and we will get back to you shortly.